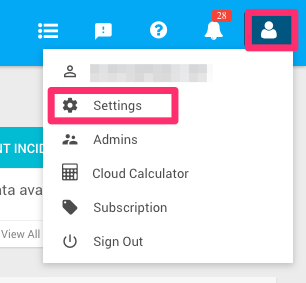 There are few options to customize your itopia platform and you can access them from the Settings menu on the top right corner menu. You can select the color of the main bar on the top when clicking on color palette. Your Logo picture will replace itopia logo in the top left of the platform and Tab icon will appear on the browser tab.